Today’s post is by my son, Brad Ton. 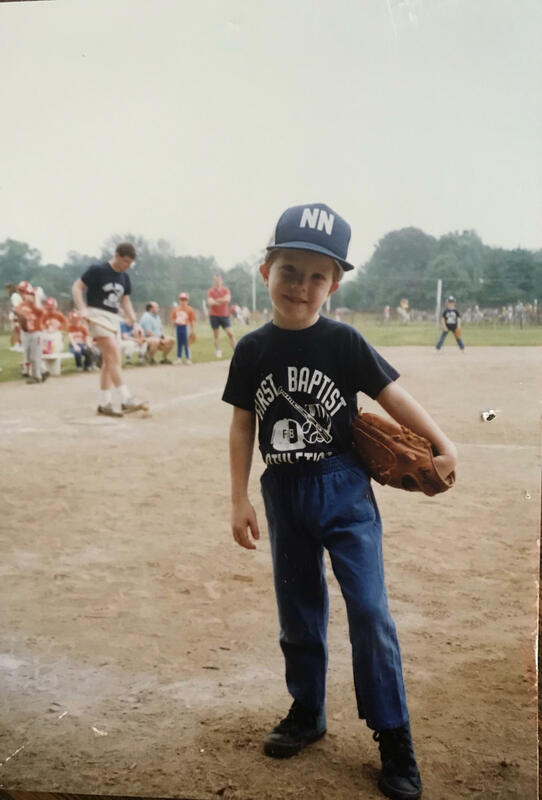 On Father’s Day this year, Brad was asked to share his thought with the congregation at First Baptist Church (the church he grew up in) about his experience with First Baptist Athletics. For those not familiar with FBA, it is a youth sports program developed by First Baptist as community outreach fifty years ago this year. 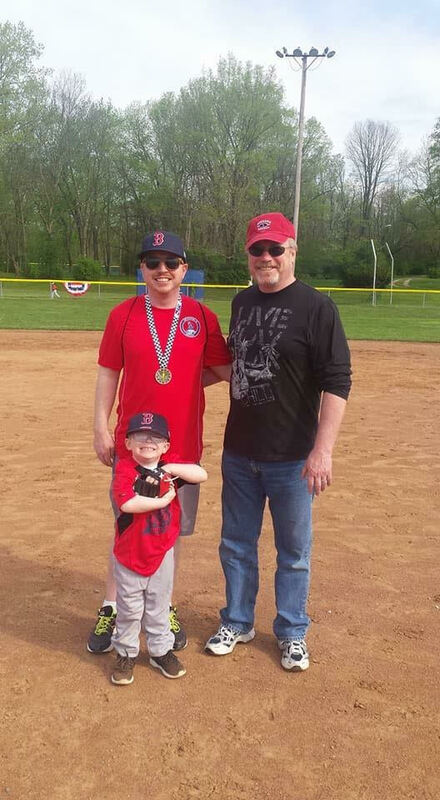 Both my sons, Brad and his older brother Jeremy, participated in baseball, soccer and basketball…and yes, for most of those 15 years, I was coach. Good Morning! It is my honor and privilege to be with you this morning, on this Father’s Day, to share with you my experiences with First Baptist Athletics. It dawned on me as I was preparing my remarks for this morning that today marks 17 years to the day, June 17th, that my Grandfather, Gene Ton, baptized me here at First Baptist Church. Some of you may know me and some of you may not. I grew up in this church and in the FBA program. As a kid I had the opportunity to participate in sports such as soccer, baseball and of course…basketball. Throughout my childhood experience at First Baptist Athletics, I learned a lot of valuable lessons. The importance of working with a team, how to be a good sport (win or lose) and quite possibly the most important lesson of all: as soon as you step foot on the basketball court…you’re open. Hey, you miss 100% of the shots you don’t take, right? As a kid, I was lucky. My Dad was my coach. Countless evening practices and Saturday morning games, my Dad was there. Some say it can be hard being the “coach’s son”, but it never was for us. He always treated me just like everyone else on the team. There was no extra special praise and I most certainly was not given a pass where others were not. The importance of those lessons has always stuck with me. It was our time together and I truly appreciate all of the time and energy he put in to making it so special. 20 some years later, I can officially relate! A kid growing up in the First Baptist Athletics program is a lucky one. I’d be remiss not to mention George Robinson who was the FBA Athletic Director throughout my time in the program. Looking back, I’m not quite sure how George had the patience and wherewithal to handle hundreds of EXTREMELY energetic, sugar-filled youngsters every weekend. But somehow, he did and he did it amazingly. I’m extremely grateful for his guidance throughout my youth. Fast forward SEVERAL years later and our son Jordan was getting to the age where it was time to play ball! There was no doubt in my mind where I wanted him to play. Thankfully, my wife fully endorses my itch for nostalgia. We immediately signed him up for First Baptist Athletics T-Ball. Initially, I wasn’t going to coach. I had just stared a new job, I was involved in some other things and the timing just was not right. 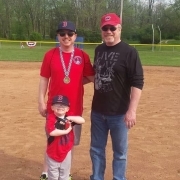 Then I got an email from FBA Athletic Director Steve Carr, that said the 4 Year Old T-Ball League is still in need of coaches…… I forwarded to my wife, Holly, who said “well… there you go!” It was meant to be. Coaching my son Jordan this season is one of the greatest things I have ever done. He probably would not tell you the same thing today, but that’s okay. Even when the hot summer sun has him tired and rolling in the dirt during the 2nd inning, I know…in that moment…we are truly…truly bonding. Really though, seeing the smile on his face, interacting with other kids and learning how to be part of a team in the FBA environment has been remarkable. As a parent, you want your child to learn the lessons of life that they need to properly grow and mature…but…could you also stay wrapped up in this bubble while you do that please?? No, FBA is not a bubble. Trust me, those baseballs can leave a mark if you aren’t paying attention! It is a place where kids are free to succeed. Where they are free to fail. And where they have a tremendous opportunity to learn from both. We chose to participle in First Baptist Athletics because, quite honestly, in today’s world, the environment created here is rare. It is truly about having fun. Every kid, regardless of skill, size, ability, background, every kid gets a chance to play and learn. I’ve seen some amazing things take place on the fields and courts at First Baptist Athletics. And it is all due to fun and safe environment that has been created and sustained here. I’m extremely proud to play a small part in continuing the success of the program that has brought me and my family so much joy. Thank you and Happy Father’s Day. Strong work here Brad, thank you for sharing. I DID Write a Book! Amplify Your Value – Publication Date Set!